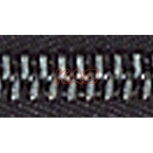 This standard type of zipper is with longest history and most common in the zipper application. The available teeth color is brass,copper, aluminum, nickel brass, black silver, shiny gold, shiny silver...etc. The available chain measures is #3, #3.5, #4.5, #4, #5, #8, #10. Meet international standard in different countries such as American standard(ASTM), British standard, SGS. 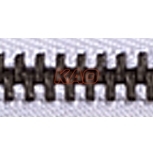 With experienced technician, precision engineering techniques and machines to produce the durable and stylish zipper. Jeans, Jacket, Garment, Shoes, Bags. 1. The available measures is #3, #3.5, #4.5, #4, #5, #8, #10. 2. 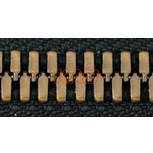 Open end zipper is available in left hand pin insert or right hand pin insert. The dyestuff which we use is AZO free to guard the customer’s skin health. AZO has been found to be a kind of potential carcinogens. We can produce the slider with lead less than 90ppm. Please inform us your requirement when placing order and inquiry so we can have the quality control accordingly and prevent the products from being contaminated and out of standard ppm. To detect the broken needle or iron fragment to prevent the damage or hurt. Our zipper can pass the needle detector testing. Low nickel content for baby wear & accessories and other textiles to prevent skin allergies. When a dyed cloth coming in contact with the zipper, it may stain due to chemical changes. Please wash the cloth thoroughly before sewing zipper together. Color migration occurs and stains the articles because the zipper tape dye reacts to the synthetic leather , the plastic-coated cloth or other unknown chemicals in polyvinyl materials, under high temperature, high pressure, high humidity and high color contrast..etc. between the zipper and the connected items. Recommend to use the YG type (No. 3 ,no.4, No. 5) to pass washing processes especially for jeans washed by small stones. Stonewashed jeans are jeans that have the look of a faded, worn appearance. This is usually done by washing the jeans with pumice in a rotating drum. 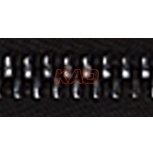 Because of the formation process, nylon zipper teeth are directional and will twist if a complete zipper is separated to one-sided usage. An example one-sided usage and its consequences are as illustrated. 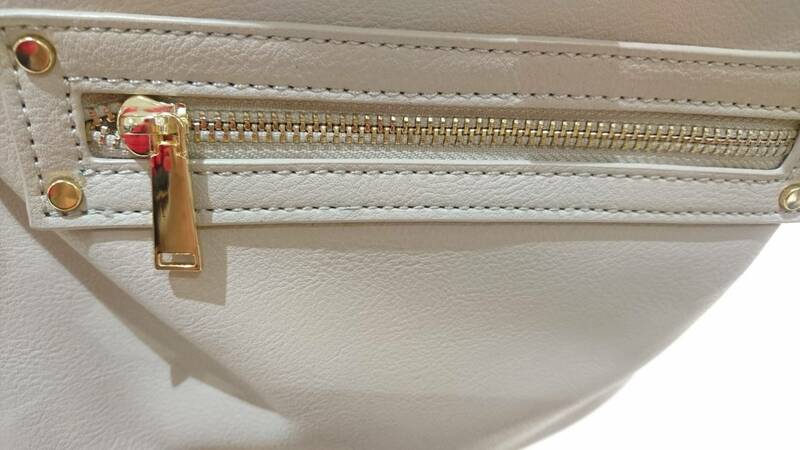 The white-material zipper is manufactured without being dyed so its cost is lower.It is often used in products which do not demand dyeing the zipper ,such as a pvc zipper bag for bedding packaging. 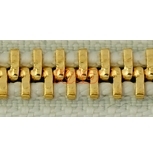 The nylon zipper is recommended for use in turning corners. If a reverse zipper and plastic zipper must be used, the safety factor must be considered. Avoid applying zippers on sharp corner turns. 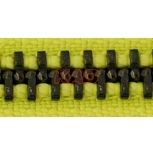 Both sides of nylon zipper teeth are manufactured with the same machine and condition. 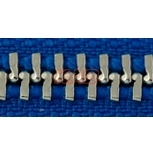 It is not recommended to take apart both sides of the zipper teeth and combine them with another single side of teeth. 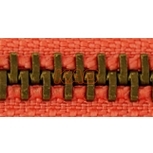 This will avoid crimping and damage to the zipper. 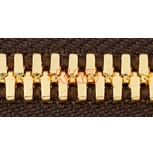 When the zipper is sewn too close to the surrounding material, it will make the slider difficult to move on the zipper and could damage the zipper. A zipper with wider tape could ease the problem. 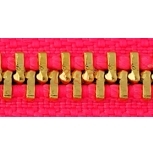 Stylish zippers and sliders to highlight the brand and design of the garments. High polish metallic finishing for sliders and metal teeth. 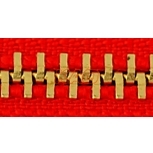 Custom zippers and sliders are available. Zippers and sliders with durable, dependable and strong designs to ensure the life of shoes and boots. 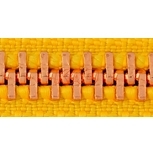 Special materials and designs to strengthen the zippers and sliders. 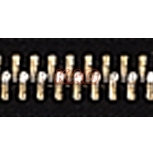 Our zippers can resist cold weather and are widely used in cold continents and counties, such as Europe and Russia. Snap on sliders with replaceable pull tab function. According to personal needs, pullers can be replaced anytime. 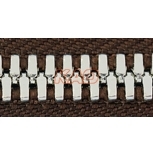 Zippers and sliders formed by high quality material to ensure abrasion resistance. 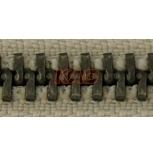 Different zippers for various jeans and denim thickness. Resistance of enzymes, acid wash, stone washed denim garments. The apperance of teeth's finish may change after certain washes, testing before use is suggested. 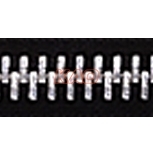 Metal Shinny Teeth Zippers are largely applied in the field of bag and garment. ※ The exact size is based on real object. ※ If you can not find the products you need in our website, please contact us for further information.